Our work in Calgary, featuring presentations, workshops, and gatherings. 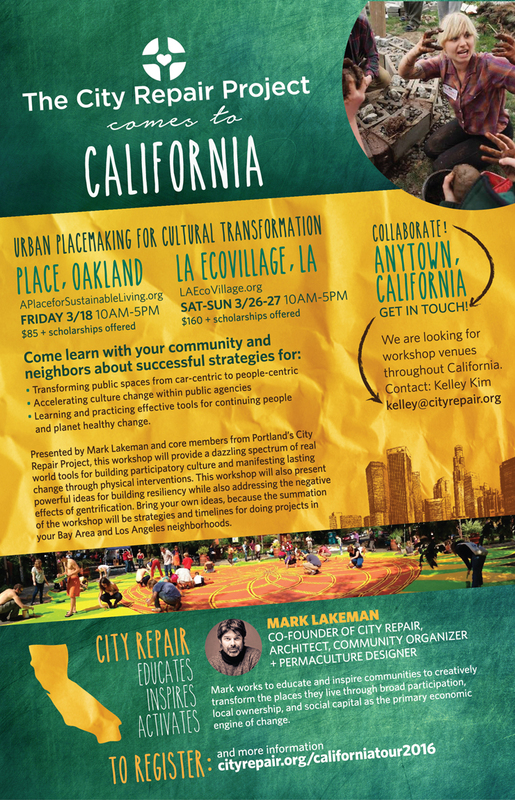 City Repair hit the road for a three-week tour of California, spreading real world tools for building participatory culture and manifesting lasting change through physical interventions. City Repair hosted a "Placemaking Storytelling" event, teaching Santa Barbara how to “make place” or create the conditions that support building stronger, sustainable, close knit communities.